What is the Youth Development Index? 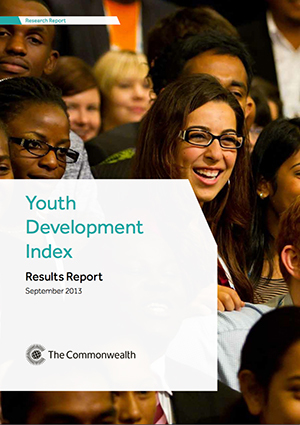 The Commonwealth Youth Development Index (YDI) measures the status of young people in 170 countries around the world. The YDI is a comprehensive measure that includes basic needs such as health, nutrition and adequate education, along with secondary needs such as political, economic and social participation. The index gauges youth development according to 15 indicators that are grouped into five key domains: Education, Health and Well-being, Employment, Civic Participation and Political Participation. The YDI aims to inform policy-makers and raise public awareness about the key opportunities and barriers to improving youth development. Who developed the Youth Development Index? The Youth Development Index was published by the The Youth Affairs Division of the Commonwealth Secretariat, internationally known as the Commonwealth Youth Programme. How was youthpolicy.org involved in the index development? Dabesaki was involved in the technical advisory committee and co-authored one of the reflection pieces in chapter 6 of the index report. Where can I download the results and methodology reports? At http://www.youthdevelopmentindex.org/views/report.php or in our online youth policy library at http://www.youthpolicy.org/library/documents/the-commonwealth-youth-development-index/. Do you happen to have a podcast about the wellbeing index? So glad you asked! Our next episode will be a a conversation with Katherine Ellis. Katherine is the director of the Commonwealth Youth Programme. Will you build the wellbeing index into your youth policy fact sheets?